My Mac-geek roommate breezed in with her laptop firmly clutched under one arm and observed me in my natural habitat that first semester at college – sitting at the desk under my lofted bed doing homework. Settling in at her own desk, she casually asked if I had been on Facebook lately. I’m sure my blank stare was answer enough because she came over straight away to help me set up my account, explaining the concept of this college-only social site as she tapped away at my keyboard. That was back in 2005 and I still remember the scene like it was yesterday. Maybe that’s because, 13 years later, it feels like one of those pivotal events that changed how I, and the world at large, engage with others and consume information. At 31 years old, I’m right around the generational cut-off of distinctly remembering life before the social media and internet explosion. I wrote research papers with information I looked up in an encyclopedia. I got lost countless times, even using MapQuest driving directions I printed out ahead of time. I maneuvered through adolescence without the added pressure of looking good in profile pictures or tallying likes. I am now a wife, mom, and online communications director who constantly feels distracted by emails and Google Analytics. 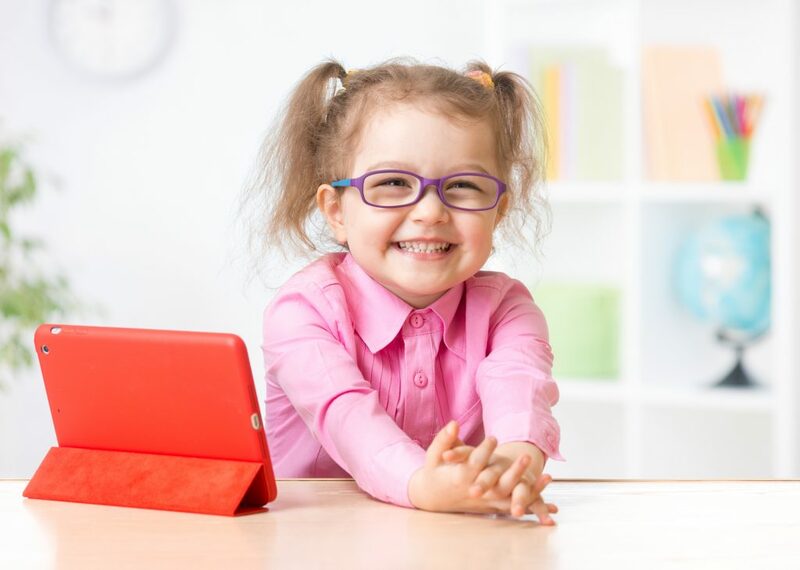 As my kids, ages four and two, become increasingly impressionable, I am all the more aware of how important boundaries with technology are for the adults as well as the kids. 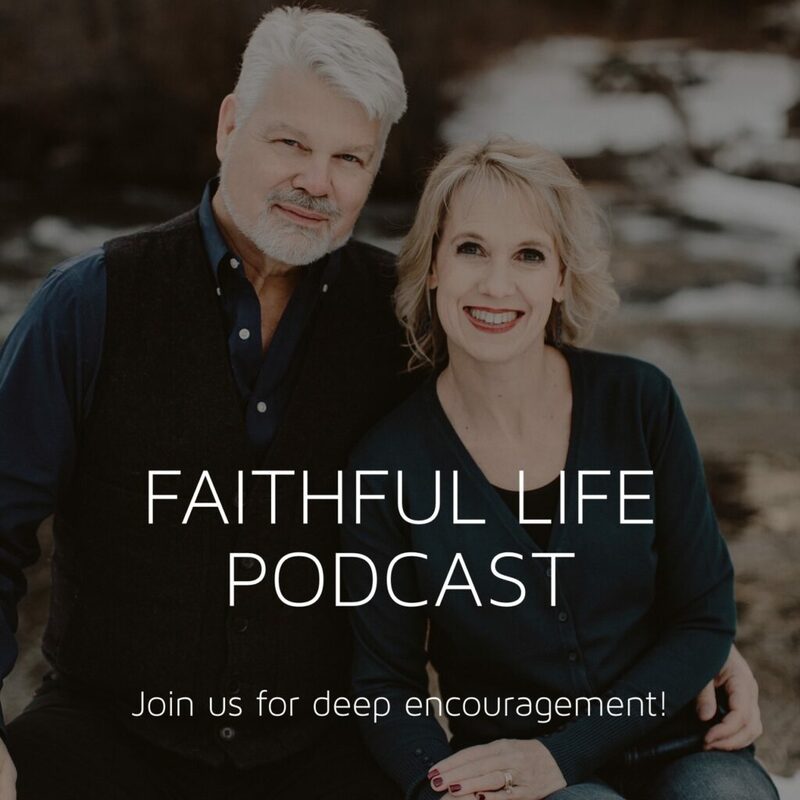 As my husband and I have been evaluating how technology and our family will operate together, these seven books have either caused us to think deeply, shaped our philosophy, or encouraged us along the way. 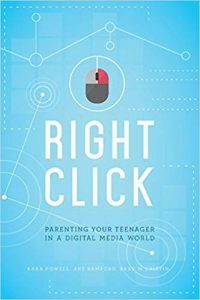 If you’re wanting to think more intentionally about the role technology plays in your life and the life of your family or you need tools to help guide your kids as they explore social media, there is a good starting point in any of the books below. Can I say enough about this book? Probably not. 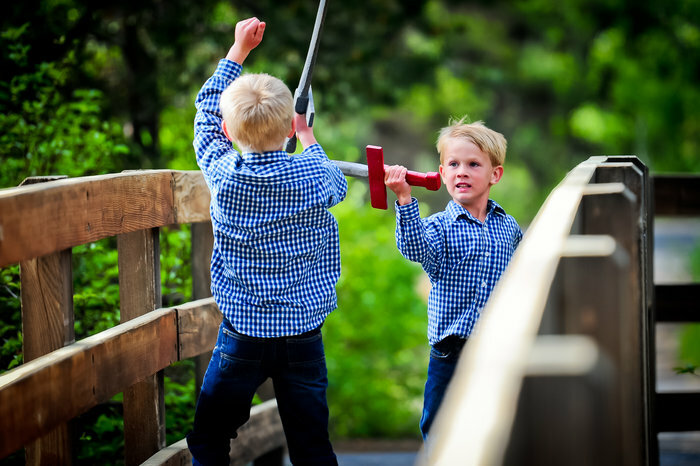 I will return to it over and over again when I need a cheering section and/or a kick in the pants as I make decisions about the role technology will play in my family. And that’s one of the many good things about reading this book – it causes you to pause and consider your priorities as a family and just how much technology will play a part in those priorities. 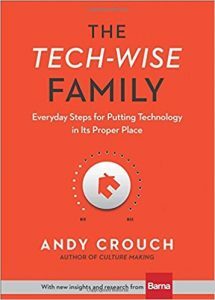 Crouch puts forth Ten Tech-Wise Commitments and proceeds to elaborate on each one in broad and well-researched strokes that were not nitpicky or overly specific. He is very clear that these ten commitments are counter-cultural and will be hard to follow, but the rewards far outweigh the push-back associated with choices like no screens before double digits or waking up before our devices do. If those types of commitments make you want to skip over this book – don’t! One of the things I appreciated about The Tech-Wise Family is Crouch’s humility and willingness to share failure. There’s a “reality check” section at the end of each chapter where he reflects on how well he and his family stuck to that commitment. Mark and Adam are both veteran youth workers and parents of teenagers. In this slim book, they have created a resource about everything you did (and didn’t really) want to know about the social media platforms available today and how to navigate them with your kids in a healthy, safe way. 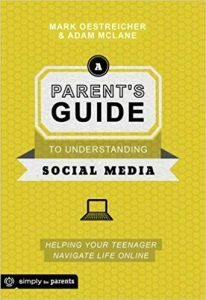 There can be a lot of fear associated with our kids’ use of social media and in 72 pages A Parent’s Guide to Understanding Social Media is able to make our digital age seem a little less scary. Plus, it’s a book you’ll actually be able to finish. Mandy is just like you and me – a wife, mom, sister, friend. She posts photos of coffee and books and her family’s adorable goats on Instagram. But by scrolling through her feed, you’ll realize she isn’t the average female social media user. Her presence online is infused with Light. 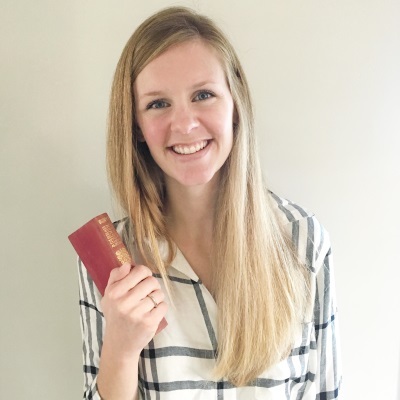 Mandy is living out what she proposes in her book, that maybe this whole social media thing can be used to reflect God’s glory and bring Him honor. 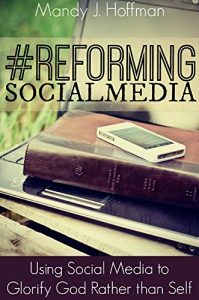 #ReformingSocialMedia is also a good primer if you’re not familiar with what’s out there in the social media world or if you’re a complete nay-sayer to social media in general. 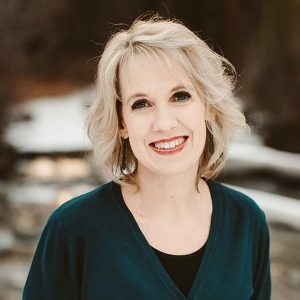 Her approach is rooted in biblical principles and offers many helpful tips to guide your decisions about your own participation and engagement with others via social media. 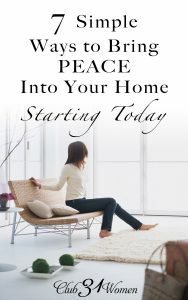 If you’ve ever found yourself breaking up a sibling squabble while stirring a pot on the stove and trying to write an email to your boss, you should read this book. Mommas already have to juggle many moving parts, why let your phone be one of them constantly? 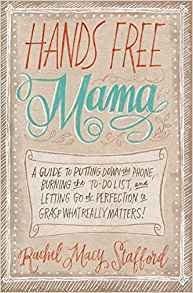 Hands Free Mama is story driven and can be a wee bit repetitive, but the main point – be present and make connections with the people who matter most – is a point well taken and probably should be repeated often. Though I have not yet read Right Click, I have read many of the other books and resources put out by Fuller Youth Institute and have the utmost respect for their take on teenagers, faith, and parenting. Some of the most poignant gut-checks I’ve had about using technology wisely have come from books that aren’t even about that topic. 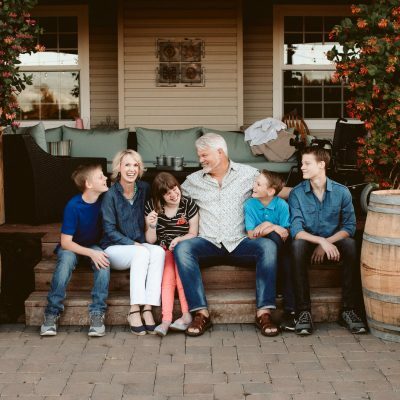 The Read-Aloud Family: Making Meaningful And Lasting Connections With Your Kids by Sarah Mackenzie and Last Child in the Woods: Saving Our Children from Nature-Deficit Disorder by Richard Louv will make you want to shuttle your kids outside with a blanket and a stack of books. 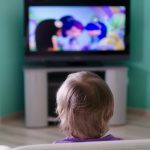 Reading aloud and exploring the outdoors are both positive experiences that when added to family life will naturally reduce the time spent in front of screens. 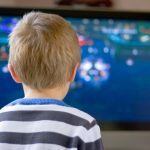 I appreciate this list and the reminder to be aware of the need for boundaries with technology, not just for our kids but ourselves. I’m glad you found it helpful, Nessa!